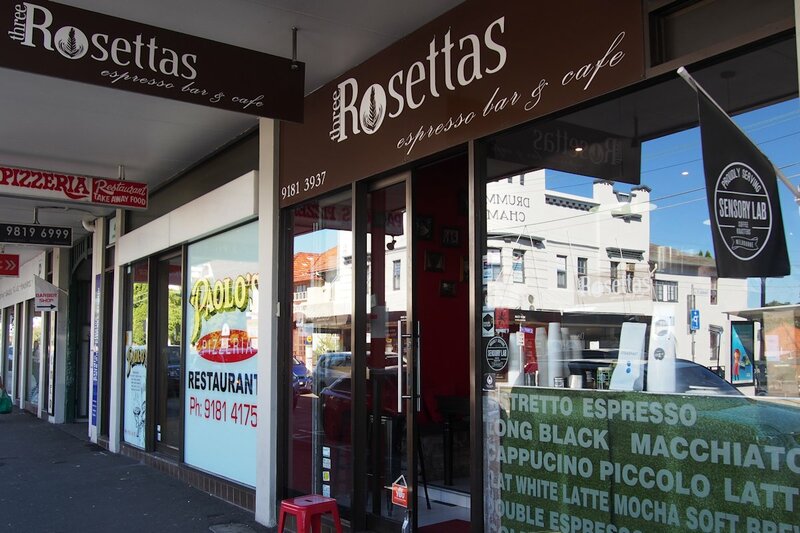 On a Saturday, Lyons Road can get exceptionally busy so I was very pleased when I stumbled upon Three Rosettas. There’s a welcoming vibe within and the tables through the rear are bathed in morning sunlight making them perfect for winter. As if this wasn’t enough, there are also the sensual tones of Sensory Lab beans emanating from the counter. We were spotted and guided to a table as soon as we stepped in so it was good to see service on the ball. My coffee ($3.50) had some good flavours but wasn’t as strong as I was hoping for. 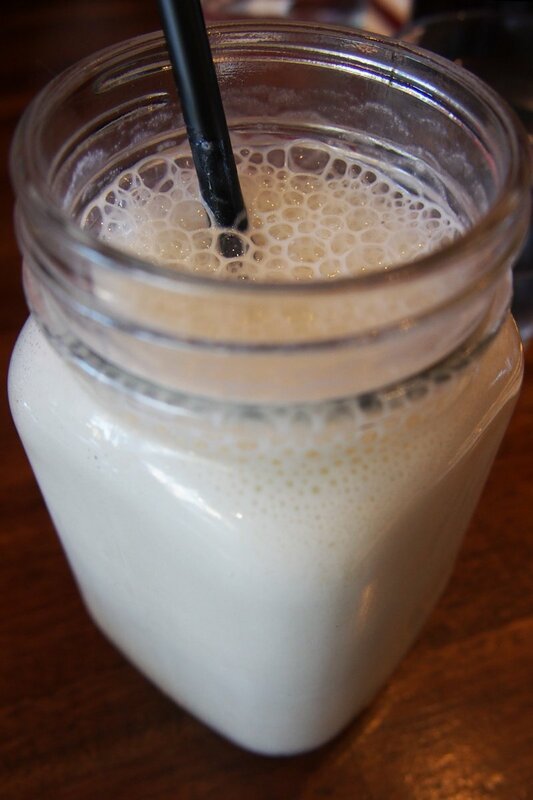 Cold drip ($5) is also available as well as iced coffee/chocolate ($5.50), iced latte ($4.50) and affogato ($4.50). My banana smoothie ($6.50) was too light on flavour; I wanted more of a banana hit and even honey, vanilla or cinnamon would have mixed well. The consistency was right though. A mixed berry version is also available and milkshakes ($5) come as chocolate, caramel, vanilla, strawberry or banana. 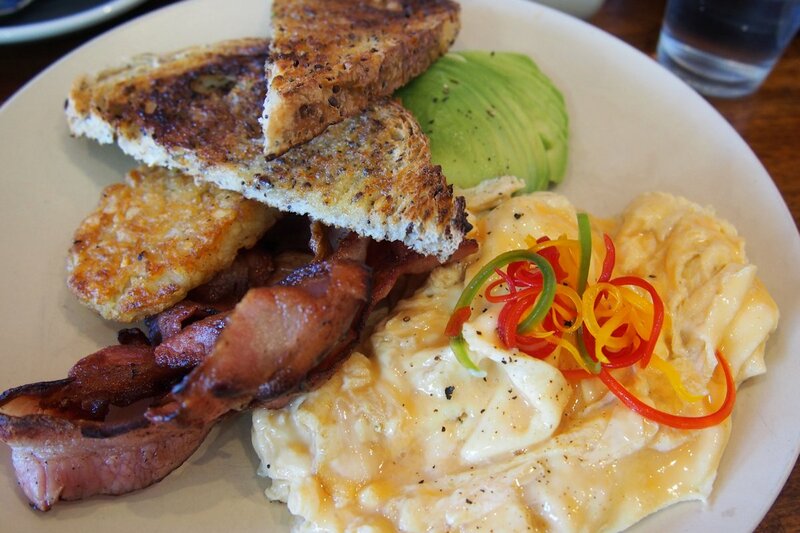 If you want your breakfast to make the neighbouring table jealous, then ordering the smashed avo ($13.50) is a good place to start. 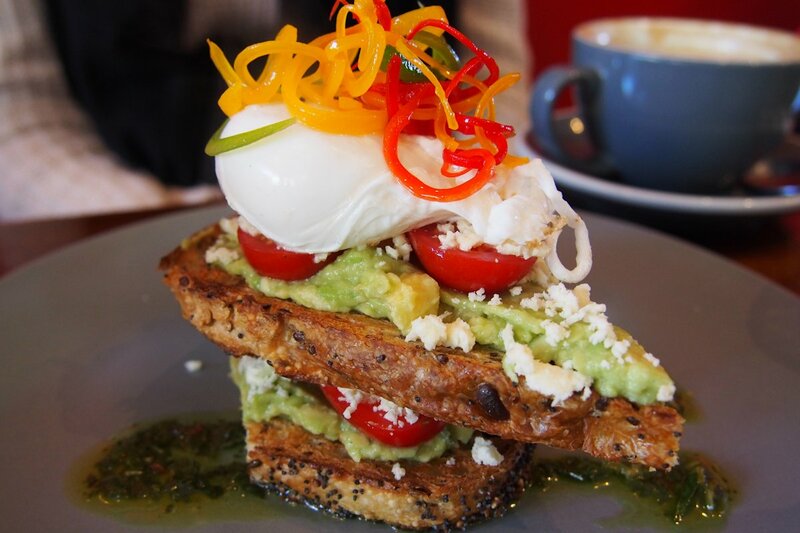 The tower of sourdough, avocado, cherry tomato, feta salsa verde and poached egg impressed both my guest and myself. The salsa verde gave that extra boost to the fresh flavours of this dish and it looked beautiful. Free range eggs on toast is a very reasonable $8.50. My scrambled ones were cooked through but still wet, just how I would expect and they were also seasoned well. I added a hash brown ($3.50), avocado and delightfully crispy bacon ($4.50 each). The hash brown was seasoned nicely but the exterior wasn’t crunchy enough for my liking. The menu is quite small and simple but some of the other dishes are eggs Benny (ham or spinach $14, bacon $15.50, salmon $17.50), brekky wrap ($8.50), French toast (brioche, mixed berry compote, maple syrup and cinnamon ricotta, $15) and Mediterranean toast (labne, tomato, za’atar and olives, $8.50). While the breakfasts are on the fairly basic side ( I like to see some items with a bit more ingenuity), everything was presented well and prepared with precision. 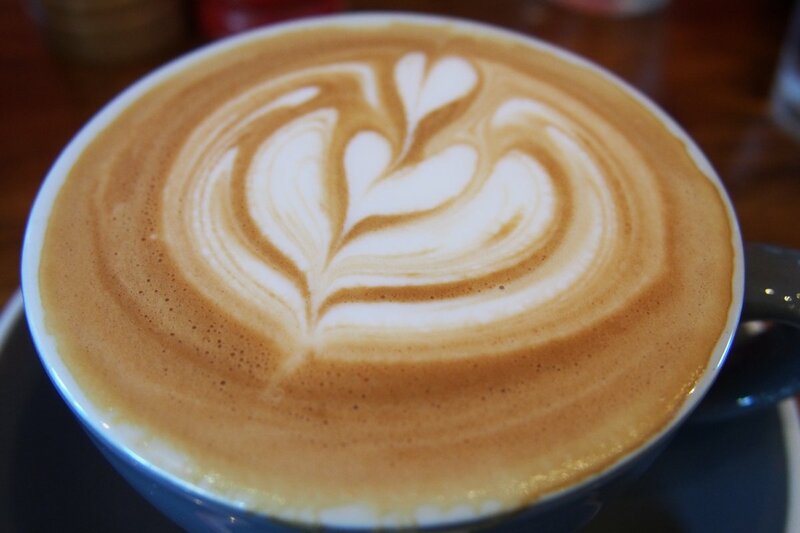 If you’re after a sunny spot to enjoy a robust breakfast, Three Rosettas will serve you well. 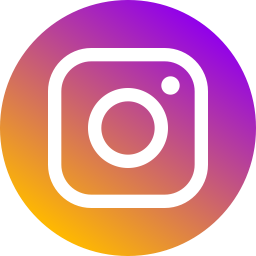 This entry was posted in Sydney - Inner West, Sydney - North Shore and tagged Disabled access, Free range eggs, Fresh fruit and vegetable stores close by, Gluten free options, Outdoor seating, Reasonable prices. Bookmark the permalink.